Jan. 30. 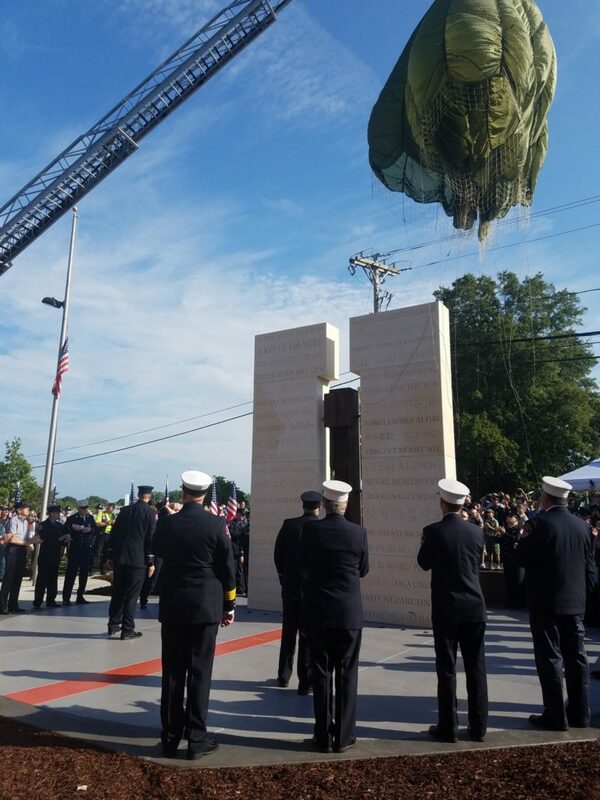 The Cornelius PARC Department has been recognized with the North Carolina Recreation and Park Association’s Arts and Humanities Award for its public art installation, the Never Forget 9/11 Monument. The NCRPA Arts and Humanities award recognizes the most innovative and effective arts and humanities programs in the state. Entries are judged on the basis of content, innovation, contribution to the community served and expansion of interest in the arts and humanities. The award was presented in December 2017 at the NCRPA Annual Conference. The awards presentation may be viewed at https://www.youtube.com/watch?v=6aA4dRWVAdc. In 2015, the Town of Cornelius received a donation of a steel beam salvaged from the World Trade Center Tower #2. Immediately, the PARC Department mobilized to create a concept for turning that piece of steel into a piece of art that would both honor the memory of those lost on September 11, 2001 and fit into the town’s overall arts vision. Town officials issued a nationwide call for artists to submit designs for the memorial with the steel beam as the focal point. A 9/11 Committee was formed to select a design, with members including Cornelius firefighters, police officers, elected officials, PARC staff, citizens and art experts. The lawn in front of Fire Station No. 1 at 19729 South Main St. was chosen for the monument’s location. The installation design includes two limestone panels, inscribed with the words “Never Forget” in 44 languages, supporting the eight-foot-long steel beam. Over 90 countries lost citizens in the attacks and these engravings represent the languages spoken by those who perished. The monument is oriented towards New York City and features an articulated line in a circular, inscribed plaza that sits on an axis with the World Trade Center site. This line is embedded with the date and location of the attack. In 2016, PARC received the award for its annual public art exhibition, Beyond Walls.